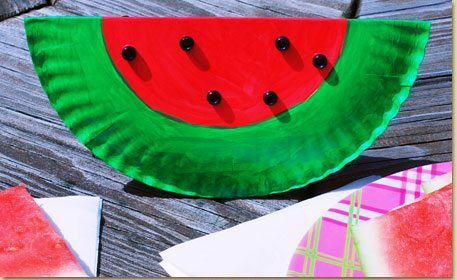 Celebrate summer with a fun watermelon themed summer craft! 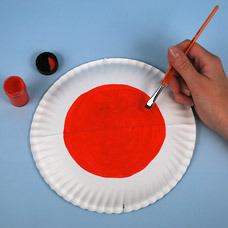 Paint the center area of the paper plate with red Acrylic Paint. This will be the edible fruit area of the watermelon. 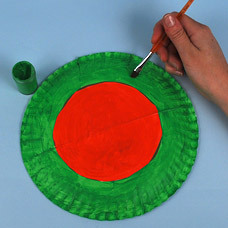 Once dry, paint the outside ring of the paper plate with green Acrylic Paint. This will be the rind or the outside of the watermelon. 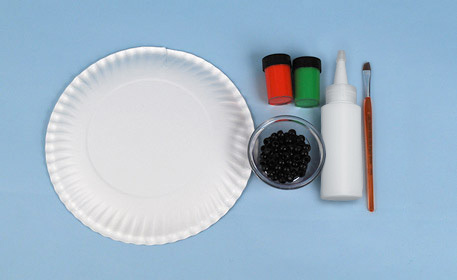 Once dry, glue black Pony Beads onto the red fruit area. These represent the seeds. 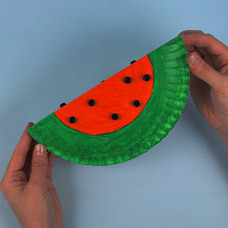 Once dry, fold the watermelon in half. If you crease it enough in the center, it should be able to stand on its own on a flat surface. 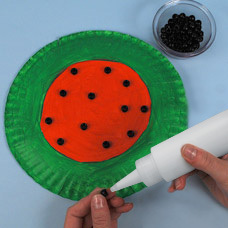 You now have a great Watermelon art project to display on the tabletop at your summer BBQ!